Vladimir Putin met in Sochi with Prime Minister of Israel Benjamin Netanyahu. 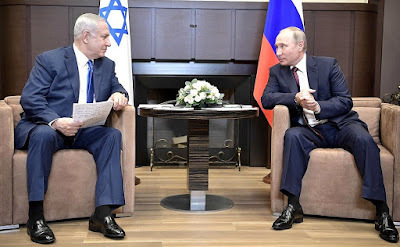 Vladimir Putin and Benjamin Netanyahu exchanged views on developing bilateral relations and on the situation in the Middle East. Vladimir Putin met with Prime Minister of Israel Benjamin Netanyahu. 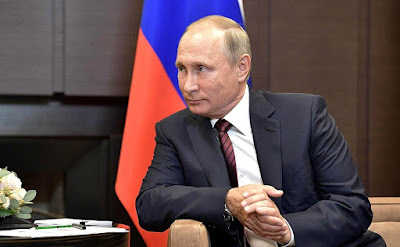 Let me start today by saying that we are happy with the state of our bilateral relations, which have developed in part through your direct efforts, Mr. Prime Minister. We are very pleased to see you. This is a sacred matter. Vladimir Putin at a meeting with Prime Minister of Israel Benjamin Netanyahu. We, and I personally, will never forget the historic role that Russia and the Soviet army played in defeating Nazism. We say this everywhere, at all venues. We recently declared this in the Israeli Knesset. Mr. President, you know well that it is for this reason that I took the initiative in my time of erecting a monument in the town of Netanya to the liberator soldiers of the Soviet army, and you took part in that monument’s unveiling. 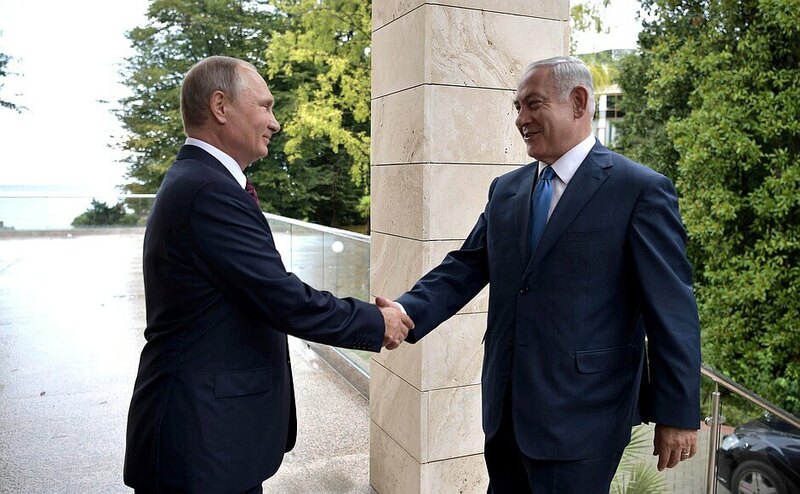 Vladimir Putin with Prime Minister of Israel Benjamin Netanyahu. Mr. President, we have been meeting over these last years, not only to discuss our bilateral relations but also to examine the situation in the Middle East, where developments have been happening at a rapid pace of late. Mr. President, we are fighting and defeating ISIS through common efforts, and this is very important. But what is worrying is that where we defeat ISIS and it disappears, Iran steps in. 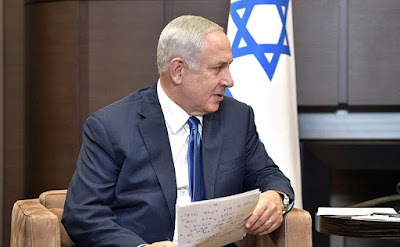 We must not forget for an instant that Iran continues to threaten Israel’s destruction every single day. It arms terrorist organizations and encourages and initiates terrorism. 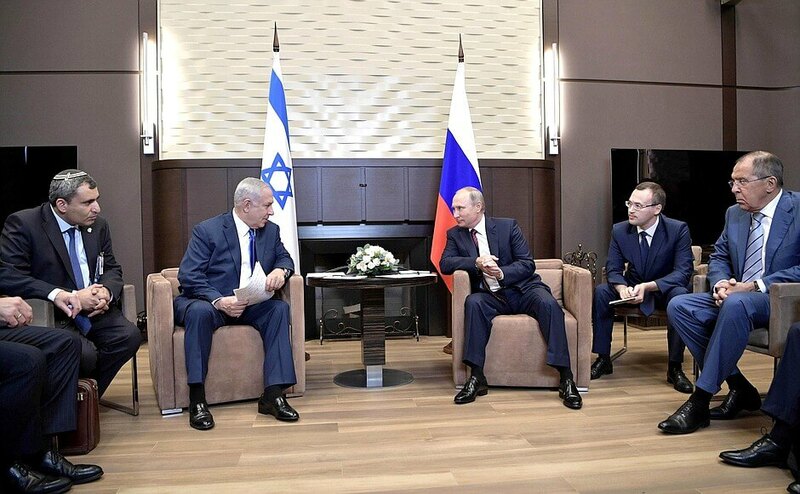 Vladimir Putin and Prime Minister of Israel Benjamin Netanyahu in Sochi. 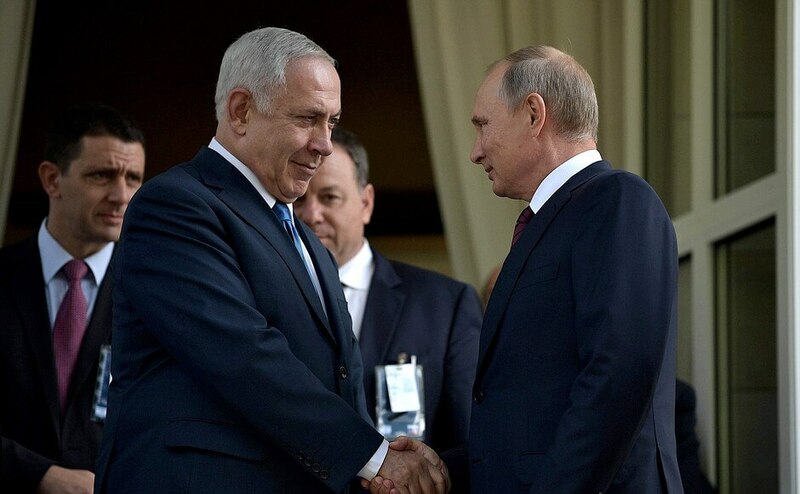 Following a meeting of the Russian President with Prime Minister of Israel Benjamin Netanyahu. 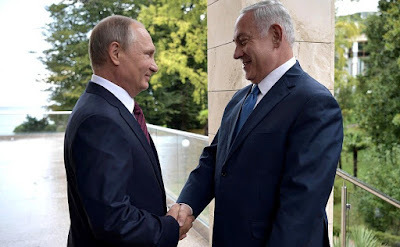 0 Comment to "Putin met with Prime Minister of Israel Benjamin Netanyahu"